Going back to Naga City, we finally took the ro-ro (roll on, roll off) ship to Nato Port in Sagnay. Actually, we were supposed to take the ro-ro ship going to Caramoan but, since we arrived in Naga at 6am that day, there was no way that we're going to be able to reach Nato Port by 8am. 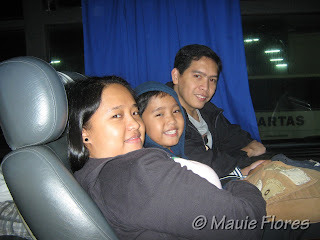 The return trip to Nato Port from Guijalo Port was scheduled at 10am but we left Jallores Homestay and arrived at the ro-ro port by 9 am because we wanted to get good seats. 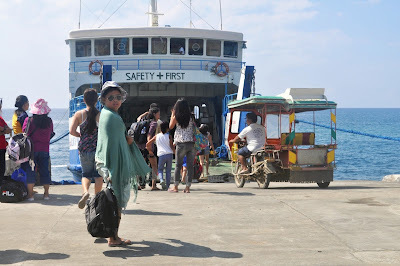 After paying the port fees (Php 5/passenger), we then proceeded to board the ship. We paid Php 150 for each ticket and went up to the passenger deck after. We were able to reserve seats with a good view and well-ventilated area. It's a good thing that the ship has a store and it sells affordable snacks because we did not have baon anymore and we were already a bit hungry. The trip to Nato Port took 2 hours, just a few minutes shy of our travel time when we boarded the outrigger pumpboat going to Caramoan. Still, it was more comfortable compared to the boat ride we had because the seats were wider. We desperately needed to rest after a full day of visiting Manlawi and the rest of the islands the day before.The ship also has toilets which is always a plus for travelers with kids. 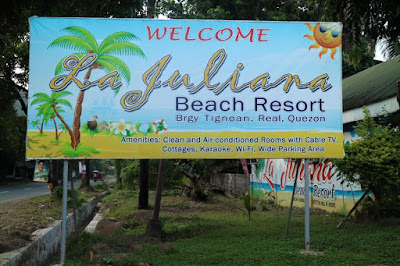 If you're going to Caramoan, I suggest you arrive in Naga City a day earlier and book a night in a cheap inn. Anyway, you can have a food trip at Biggs or spend a day at Camsur Watersports Complex in nearby Pili while you're there. Then the following morning, ride the van to Sagnay by 5 am, arrive at Nato Port before 7 am, and board the 8 am ro-ro ship to Caramoan. This post is the fourth and last of my Caramoan Getaway series. To read the rest of the posts, please click HERE. Hi, Frances. There are vans going to Sagnay at the Terminal near SM Naga. I'm not sure about the fare because we rented a van going to Nato port. If you arrive by 7am that would be enough time to secure good seats. Plan B then would be to go to Nato Port to ride the pump boats.